There are a lot of different news stories represented in the headlines these days. There is the 'President Trump/Russia' narrative; North Korea missile tests; the ‘President Trump could be impeached’ narrative; 'President Trump on Twitter'; more of the 'President Trump/Russia' narrative. Etcetera. Of all the news stories, the one that really matters is the North Korea missile tests. This is a story that has its genesis, at least in the context of nuclear weapons, in the Bill Clinton administration, when former President Jimmy Carter snatched the initiative from the sitting president, forged a deal favorable to North Korean dictator Kim Il-Sung, and forced the weak president into accepting the deal. Kim, the grandfather of the current madman leader of the backward nation, died not long later, and his crazy son, Kim Jong Il took over. The second Kim died 17 years later and the latest whack job took control. There are those little matters of the proclamations about the second Kim (11 holes-in-one the first time he played golf; he was so perfect he did not defecate; etc.). It all sounds so comical. The absurdities mask the real threat that North Korea has become. Those of us old enough to remember the Cold War grew up fearing nuclear annihilation. In the age of terrorism, the fear is a nuclear or “dirty bomb” explosion in a city. We now know that our biggest fear should be an electromagnetic pulse (EMP) attack. A nuclear explosion could wipe out a city; an EMP attack could kill 90% of our citizens. In 2004, the “Report of the Commission to Assess the Threat to the United States from Electromagnetic Pulse (EMP) Attack” was released by the federal government. That wonderfully bureaucratic-minded title painted a subtle picture of societal demise. While the report itself did not project a horrific death rate, other experts pieced together information from the report and reached the conclusion of 90% of the population dead in one year. The commission only addressed sectors of American life individually. ‘This is the impact on the food supply...’ ‘This is the impact on delivery of energy...’ etc. The report did not put together each piece of the puzzle, which made the staid report all the more troubling. The commission wrote a second report in 2008. In the reports, low gamma ray-yield nuclear explosions were evaluated, so some of their conclusions, such as EMP effects on cars, for example, were questionable. Nevertheless, the overall product was excellent. The two reports prompted William R. Forstchen to write his novel, “One Second After,” which described an EMP scenario for his characters in a small town setting. The novel kicked off the “doomsday prepper” craze. I take you, dear reader, through this brief litany, to bring us to today. Our government has spent trillions upon trillions of dollars since the publication of the government reports, yet little has been done to protect our infrastructure from EMP attack. It has been estimated that $30 billion could harden our communications and power systems - a lot of money, but chump change compared to how much is spent by the government every year. We are all at risk from an EMP attack. An attack takes one missile, detonated 250 miles above Kansas, to knock the contiguous 48 states back to the Stone Age. How many people have the tools to survive without technology? City people have neither the tools nor the knowledge to live off the land; the tools of the modern farmer are technologically advanced. Who even owns a horse-drawn plow? A few years ago, I read the two EMP reports. Without getting into the science of how an EMP works (it’s not my strength), suffice it to say that any nuclear nation that can get a nuke out of the lower atmosphere can create a damaging EMP explosion; however, with additional knowledge, a nuclear device can be re-engineered to release more gamma rays toward the ground than an average nuke, thereby causing severe, widespread damage. Henry F. Cooper, former head of the Strategic Defense Initiative under President George H.W. Bush, wrote that the recent “failed” North Korean missile test looked like an EMP test. The missile exploded mid-flight, just as what would happen in an EMP attack. Properly configured, an EMP explosion at 120 miles above the ground would have an impact of 1,000 miles in all directions. We can all disagree about how much President Donald Trump should be tweeting or whether there is evidence of his campaign working with the Russian government to get elected. We had better hope and pray that, during these distractions, no one takes their eyes off of North Korea and their insane leader. 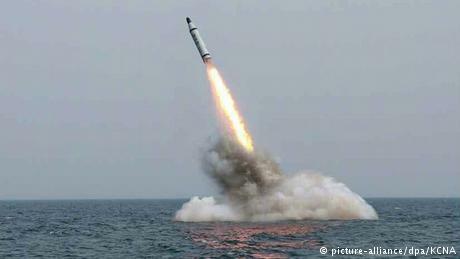 It is reasonable to assume that each test brings the backward communist nation closer to nuclear strike capabilities. Such a strike may not result in what the average American thinks of a nuclear strike. We cannot allow our national leaders to take North Korea and their missile tests lightly. If they do, there could be grave consequences for our country.